We made a snowman as well. Yuki!! 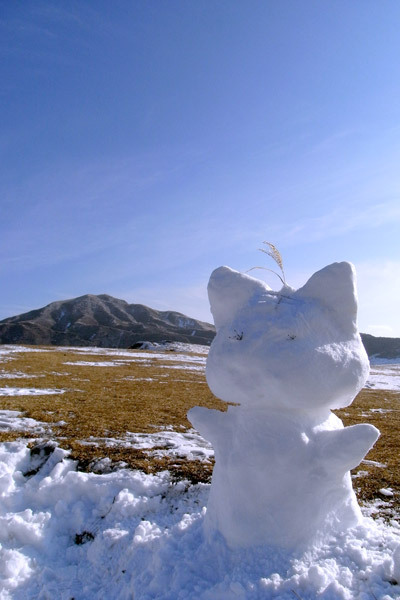 That’s so cute.. i’m sorry if i haven’t answered your e-mail, i’ve been quite busy :s..
Did you make this Snow-cat? hahaha I want one of those!! Can you send me one? hahah however.. i guess it’s gonna arrive already melted so.. don’t worry :D.
Hey, Edgar! How are you doing? Oh, I got your Email.